Up until 2009 I had traveled a lot, but it was confined to places all over the United States and Canada, with a little time in Mexico. All of this changed that year when I headed abroad for the first time. 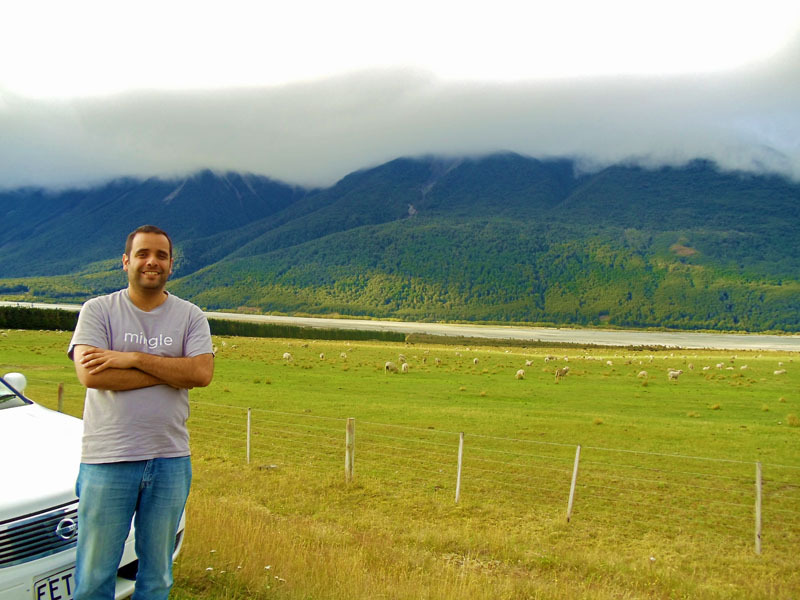 In fact I was headed to the other side of the world and New Zealand for an extended period of time. Gotta make sure to look to the right first before crossing the street. Hitchhiking is common a way to get around and a pretty safe one. Picked one up, helping them get from A to B, with a lot of great conversation in-between. To do the above, had to experience driving on the other side of the road. That was the biggest transition. I’m not walking into a convenience store to grab some drinks and snacks, but a dairy. 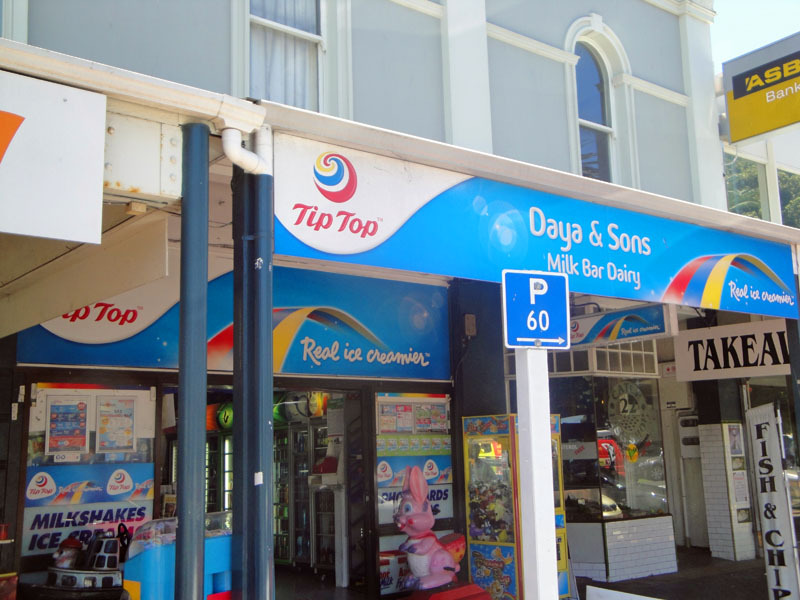 Speaking of dairies, them along with gas stations and in every other place it seems you will find a display case of meat pies ready for consumption. The steak and cheese yum! When getting a different kind of fuel, Burger Fuel, the fries you are getting are Kumara, not sweet potato. I’m not grabbing a beer at the restaurant/bar, but a pint. To this day even at home when I want a beer I find myself asking for a pint. When at the restaurant/bar there is no tipping, you don’t give payment to the waiter and there is no seating available at the bar. Continuing on with the food, it’s frites not fries. Oh and can I have some aioli with those! What’s ketchup? People call it tomato sauce. When I visit I am not on a vacation, but on holiday. It’s rugby, rugby, rugby over here. I quickly got drawn in to the All Blacks National rugby union team. Was very excited when they won the 2015 Rugby World Cup in London. The further south you go the colder it gets. It’s January and the sun is out until after 9 pm. I quickly Learned not to not close your eyes when road tripping, the terrain changes fast. We’re in the rain forest, wait the mountains, wait the prairie, wait I see a glacier. It is really as pretty and magical as Lord of the Rings depicts it to be. You never know what lies straight ahead. I discovered for myself what all the chatter was about involving the Queenstown Fergburger. Delicious. Roundabouts you are starting to see here-and-there in the states, in New Zealand they are just a way of life. I’ve already said it a couple of times in this post, people refer to the US as “The States”. Stay at hostel, not a hotel. Who knows who you’ll meet, where they will be from and what kinds of great memories you will make. Most importantly, everyone is so friendly. I don’t recall ever having a bad interaction with anyone. It was great learning about, experiencing and seeing the differences between home and somewhere outside North America. 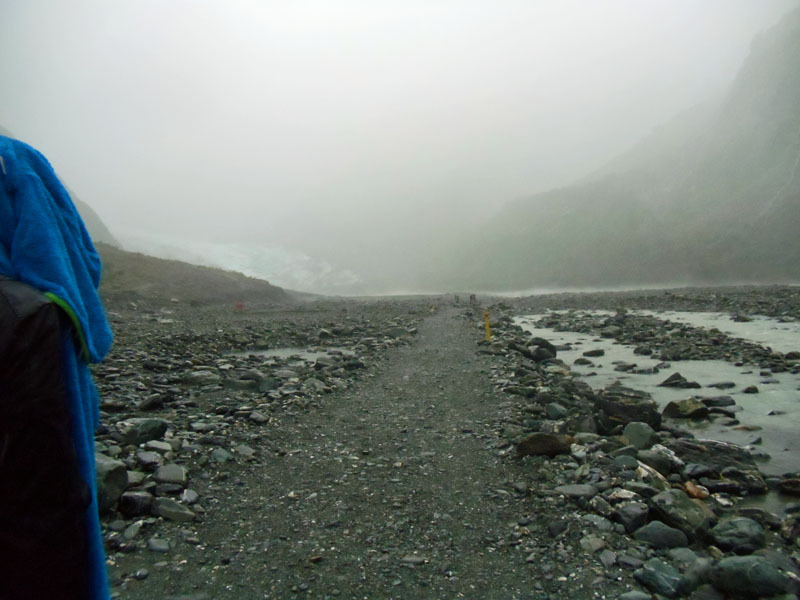 I look forward to uncovering more in New Zealand and beyond. Have you ever been to New Zealand? If so, what are some of the differences you noticed from home? This entry was posted in New Zealand, travel and tagged New Zealand, New Zealand tips, road trip, travel, travel tips. Bookmark the permalink. Appreciate the perspective from someone who has been there long term. The drivers aren’t very good over this way either, especially with the roundabouts. I have seen some crazy things. Had a lot of good chats and conversations in my time there with various people, but nothing more than that, or could have been the fact that wasn’t in one place for long enough. There sure are crazy things everywhere you look if you think about it. 😄 One thing I have been very aware of since moving here is that the view you have as a tourist of somewhere is markedly different from that of a resident because over time the absurdities (compared to home) start to come out of the woodwork…but equally I think you also realise that what you grew up with was just as bizarre in some ways. 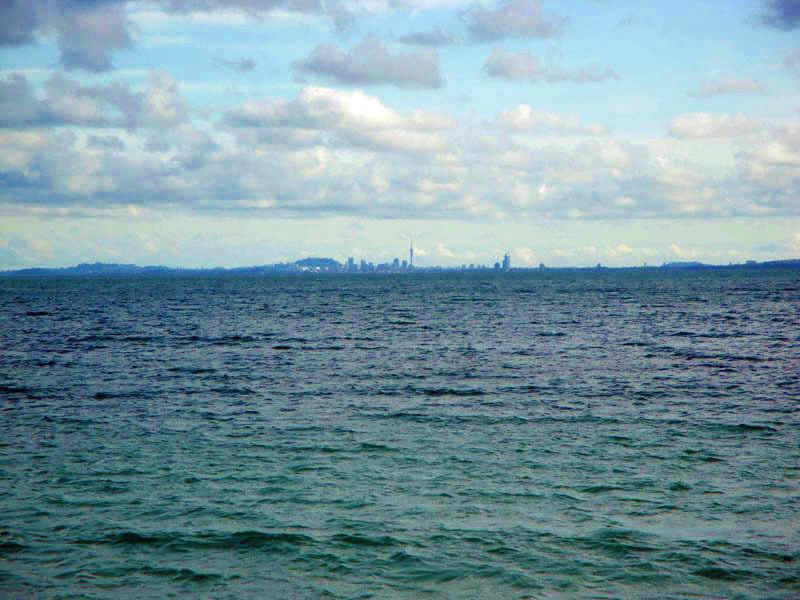 I moved to NZ 3.5 years ago from Scotland via 8.5 years in Denmark. First thing I noticed was just how friendly people are in the same way they are in Scotland – you can quite easily ask a stranger where they bought their coat from for example. I think it is always hard to make friends with locals as people have established lives/networks – at least this is based on my experience, and I didn’t come here as a student/single person. Lots of different words – jandals, jug (for kettle) for example – and use of Maori expressions like whanau (family) and of course, kia ora. Favourite Kiwi expression – it will all turn to custard. Love living in Wellington. Thanks for the perspective from someone who has been there a while. 🙂 Yeah I could see that versus just interacting and bonding with other travelers. Did notice the different words like jandals. 🙂 Been to Auckland and the northern half of the North Island and Christchurch and a lot of the South Island. Have not made it to Wellington yet, heard it is beautiful!!! Hope to soon. I just had a good laugh at mos of the things you’ve listed here! Living in NZ I forget how strange some of our past times and terms are to everyone from around the world 😂 I just came back from my first trip to the US & it was difficult getting used to the fact there aren’t any dairies there let alone convenient stores that sell meat pies haha. Fruit pies aren’t a big thing here, I’m not sure why. Anyways thanks for a great post! Thank you, glad you like! Nope definitely hard to find a meat pie here in the states, unless it is frozen at the grocery store it seems. 😦 Haven’t taken to the mini fruit pies since I was a kid haha. Being here in the US I’m sure I don’t see a lot of things that are strange to outside visitors when they visit here. 🙂 Cheers! 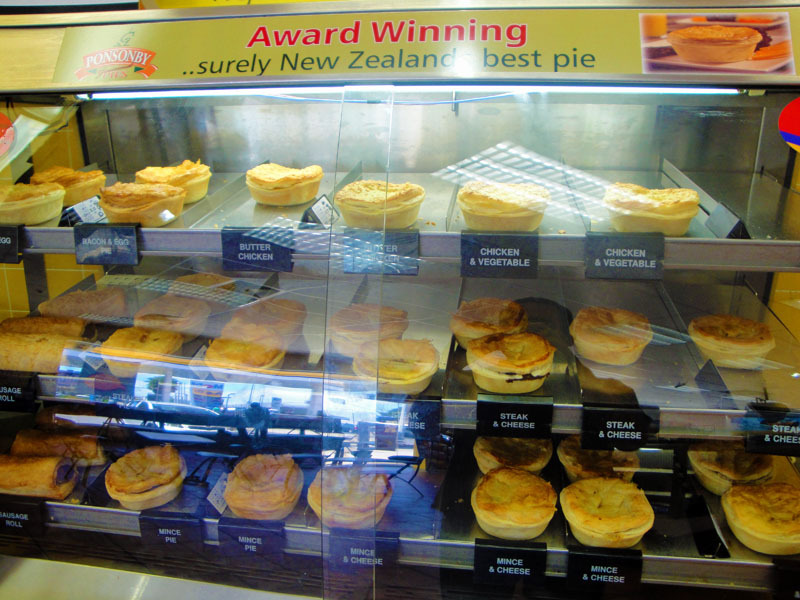 Loved the display case of “possibly New Zealand’s best pie.” Love the phraseology. South Island, a road trip there has been on my bucket list for too long. Very cool list here, I like the little cultural things (frites instead of fries, for example). Oh, I’m going to my first rugby game soon (in Paris) and I have a feeling I’d do that in NZ too. Rugby cool enjoy! Never been to a game, but started following their national team a lot after my time there. Hope you can road trip the South Island sometime, it’s magical!!! Cheers!